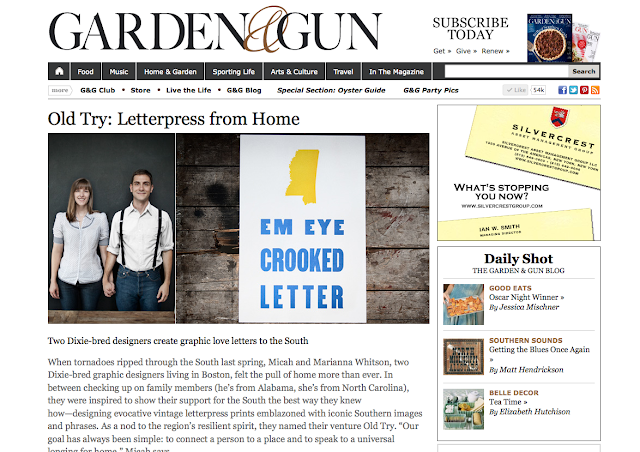 Home / Old Try / Garden & Gun. As of this windy Saturday morning, we're on the top left of the homepage. Now, I think this is a great opportunity to look towards the heavens, point skyward, then slap my chest while I scream aloud. Because, you see, I actually accomplished a goal. It wasn't without the help of a thousand other folks talking about us, it wasn't without the kind soul from G&G who made the phone call, it wasn't without divine intervention nor without our printer nor without the support of a loving wife or without giving up mornings and evenings before my day job nor without the shame and pride of being a Southerner living outside of the Southland. But I don't set goals, most of the time. If I don't set them, I can't fail at them. And if I don't fail, I'm still a winner. I'll get a participatory ribbon and I get to hang that in my bedroom and I get to look at it and think of, well, nothing. Cause without setting what failure would be or what success would look like, we just don't have a compass. A guide. Arbitrary as those might be. So, I set myself a benchmark. In my head, but I told a few others. And at 1:05 on Thursday, I was able to confirm that we're headed in the right direction. Read the writeup here. 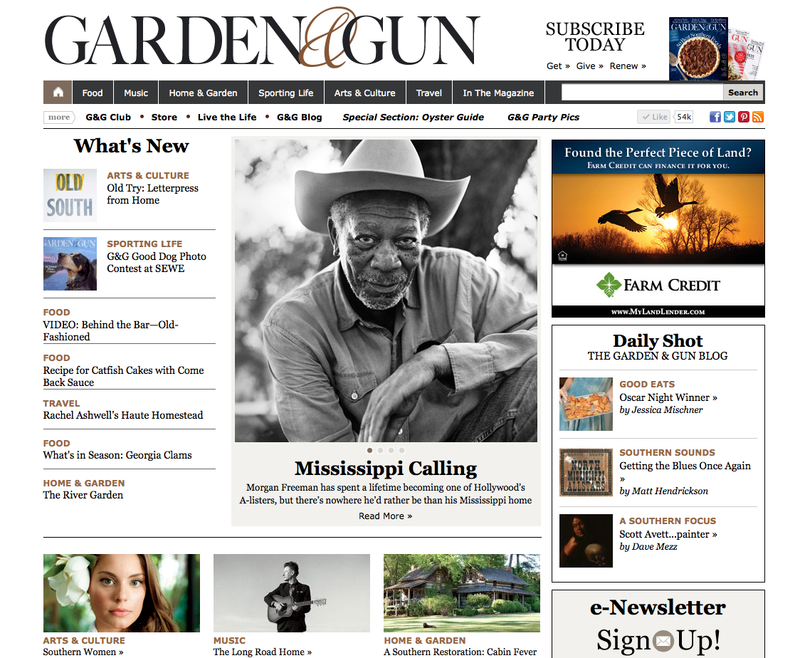 Very special thanks to Sr. Editor Jessica Mischner and the rest of those folks at G&G.